Testosterone therapy lawsuits are quickly gaining steam. These cases seemed like a plaintiffs’ lawyers reach just a few months ago. Now the science on these cases is coming together faster than anyone could have imagined. Weeks ago, the FDA announced that it is investigating potential testosterone therapy risks. This is a big deal. The FDA does not stick its nose into an approved product unless it is pretty concerned. Testosterone is approved for the treatment of hypogonadism due to known diseases of the testes, pituitary and hypothalamus. Although the use of testosterone therapy is increasing, the FDA indicated that the products were never approved for any use other than to treat men who have medical conditions resulting in lower testosterone than normal. In response to the recent developments, a group of endocrinologist experts is calling for large scale studies of testosterone replacement therapy (TRT) medications such as AndroGel, Testim, and AndroDerm. Recent developments include a just published November 2013 study in the Journal of the American Medical Association, found that testosterone drug side effects were linked to increased risks of hearth attacks, strokes, and even death among older men with certain pre-existing heart problems. That study was followed by another one, published in PLOSOne, that indicated that low testosterone treatments may double the risk of heart attack for younger men with heart disease and men over the age of 65, regardless of their prior heart conditions. 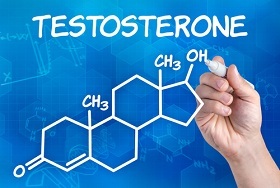 The experts, Endocrine Society, are calling for the development of more large-scale randomized controlled trials to determine the true risks and benefits of testosterone therapy in older men. They have released a statement recommending that middle-aged and older men who are considering testosterone supplementation for age-related declines should be informed of the potential cardiovascular risks. They are further concerned that it may be prudent not to administer testosterone therapy to men who have had a cardiovascular event (such as myocardial infarction, stroke or acute coronary syndrome) in the preceding six months. What was known about testosterone replacement therapy? Critics of TRT have suggested that the manufacturers of these medications knew or should have known about the risks, and as such, conducted additional studies. A study in 2009, comprised of more than 200 older, frail men, was ended early after researchers determined that individuals receiving TRT had a spike in heart attacks. While this information was discovered in 2009, millions of men who have been taking hormonal treatments are learning for the first time of the extent of the risk between this medical treatment and these sometimes fatal heart conditions. TRT is big business. The use of these drugs has exploded in the last few years, with nearly $2 billion in sales in 2012 alone. Over 5.3 million prescriptions were written for these drugs in 2011. As such, we anticipate the number of injury lawsuits filed will be huge. How many men would not have had the treatment if they had known of the potential side effects? The exact answer is unknown. But if you assume as at least one study has suggested that it doubles the risk of a heart attack, the number of claims are going to be extraordinary. If you suspect that you or a loved one has had an adverse reaction from any of these medications, our attorneys are currently reviewing potential lawsuits that allege that these companies knew that the risks greatly outweighed the benefits for many patients and failed to adequately warn doctors and patients of the potential risks. If you believe you may have a case, call our attorneys at 1.800.553.8082 or online here. Testosterone | Linked to Heart Attacks?